Neuroimaging research has suggested that activity in the amygdala, center of the socioemotional network, and functional connectivity between the amygdala and cortical regions are associated with caregiving behaviors in postpartum mothers. Anxiety is common in the early postpartum period, with severity ranging from healthy maternal preoccupation to clinical disorder. However, little is known about the influence of anxiety on the neural correlates of early caregiving. We examined these relationships in a community cohort of 75 postpartum women (ages 18–22; predominantly low-SES, minority race) who listened to infant cry sounds while undergoing an fMRI assessment. Maternal self-reported symptoms of anxiety were mostly within the subclinical range. Positive and negative caregiving behaviors during filmed face-to-face mother–infant interactions were coded by independent observers. The results from whole-brain analyses showed that anxiety severity moderated the brain–maternal behavior relationships. Specifically, our results showed that the higher a mother’s anxiety, the stronger the association between positive caregiving (i.e., maternal warmth and involvement) and amygdala–right posterior superior temporal sulcus (amygdala–RpSTS) functional connectivity. These results remained significant when we controlled for symptoms of depression and contextual variables. These findings suggest that functional connectivity between the amygdala and a social perception region (RpSTS) plays a particularly important role for anxious mothers in facilitating their positive parenting. These findings extend our understanding of the specific neural circuits that support positive maternal caregiving in the context of maternal anxiety, and they may help inform the future design of personalized and effective interventions. The online version of this article ( https://doi.org/10.3758/s13415-017-0516-x) contains supplementary material, which is available to authorized users. Postpartum depression has received increasing public health and scientific attention given its potentially deleterious impact on infant and child socioemotional and neurocognitive development, mediated in part through suboptimal maternal caregiving. However, the relationship between maternal affective symptoms and maternal caregiving behaviors is complex, with many examples of warm and sensitive caregiving provided by symptomatic mothers. Indeed research highlights that overlapping brain regions in the emotional and social neural networks are implicated both in the neurobiology of maternal mental health as well as in the expression of maternal warmth, care and attachment (Moses-Kolko, Horner, Phillips, Hipwell, & Swain, 2014; Pawluski, Lonstein, & Fleming, 2017; Rutherford, Williams, Moy, Mayes, & Johns, 2011). In the study we describe here, we probed neural mechanisms that support the coexistence of maternal anxiety symptoms with positive and negative forms of maternal caregiving. Mothers commonly report symptoms of anxiety in the early postpartum months: estimates range from 20%–30% in community-based samples (Dennis, Coghlan, & Vigod, 2013; Farr, Dietz, O’Hara, Burley, & Ko, 2014; Wenzel, Haugen, Jackson, & Brendle, 2005; Wenzel, Haugen, Jackson, & Robinson, 2003). Postpartum symptoms of anxiety range from healthy maternal preoccupation, which may be adaptive, and even necessary, for new mothers to provide optimal maternal caregiving (Leckman et al., 1999), to psychiatric disorder that can be detrimental for maternal caregiving and child development (Feldman et al., 2009). Nevertheless, the neural basis of maternal caregiving in the context of postpartum anxiety (regardless of severity) has received little research attention to date. Because anxiety symptoms frequently co-occur with depression symptoms, the literature regarding the neural correlates of caregiving in depressed mothers can also inform the study of maternal anxiety. Importantly, however, behavioral studies suggest that anxiety and depression symptoms affect parenting in distinct ways (Feldman et al., 2009; Glover, 2014; Kaitz, Maytal, Devor, Bergman, & Mankuta, 2010), and neuroimaging research has also shown that each set of symptoms is associated with alterations in different sets of neural circuitry (Matthews, Strigo, Simmons, Yang, & Paulus, 2008; Sylvester et al., 2012). These somewhat incompatible findings highlight the need to better understand the effects of maternal anxiety symptoms on postpartum brain–behavior relationships independently from those of depression. 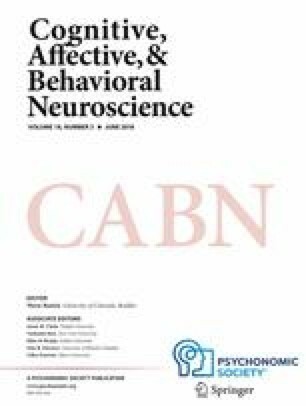 Several studies have provided important insights into the influence of postpartum depression on neural regional reactivity to infant stimuli (i.e., cry and emotional faces) and associations with infant attachment behaviors (Laurent & Ablow, 2012a, 2013), as well as the influence on interregional neural functional connectivity (FC) to infant smiling pictures (Wonch et al., 2016). In particular, research has reported significant findings for functional involvement of the right-lateralized amygdala in maternal responses to negative emotional stimuli (Atzil, Hendler, & Feldman, 2011; Chase, Moses-Kolko, Zevallos, Wisner, & Phillips, 2014; M. J. Kim et al., 2011; Landi et al., 2011; Lorberbaum et al., 2002; Moses-Kolko et al., 2010; Seifritz et al., 2003; Swain et al., 2008), consistent with the general right-lateralization of amygdala in negative emotions and pain processing (Yoshimura et al., 2009), and rapid automatic stimulus detection and response (Costafreda, Brammer, David, & Fu, 2008). However, by virtue of its role in automatic stimulus detection, the amygdala is also known to play a central role in the human maternal neural network (Atzil et al., 2011; Barrett & Fleming, 2011; Barrett et al., 2012; M. J. Kim et al., 2011; P. Kim, Strathearn, & Swain, 2016). Amygdala functional activity is associated with positive maternal constructs, such as self-reported attachment toward one’s infant (Barrett et al., 2012), maternal sensitivity (P. Kim et al., 2011), and a proclivity to focus on the infant’s emotional and mental state (Hipwell, Guo, Phillips, Swain, & Moses-Kolko, 2015). A seemingly contradictory result was also reported in one study that found increased right amygdala activity in intrusive mothers with excessive caregiving behaviors (Atzil et al., 2011), suggesting that the functional role of amygdala may depend on, as yet unidentified, contextual factors. Empirical evidence supports the crucial role of amygdala related FC in maternal caregiving (Atzil et al., 2011), social affiliation (Atzil et al., 2011; Bickart, Dickerson, & Barrett, 2014; Porges, 2007), and also the expression of anxiety symptoms (Janak & Tye, 2015; M. J. Kim et al., 2011; Sylvester et al., 2012). For example, one study showed that maternal-infant synchrony was associated with the FC between the right amygdala and regions involved in social perception and emotion regulation—for example, inferior frontal cortex and superior temporal cortex (Atzil et al., 2011)—suggesting a promotive role of the functional coupling between the right amygdala and social-emotional brain regions for positive caregiving. These circuits also play an important role in the regulation of anxiety-related amygdala automatic defensive responses (e.g., fight–flight or freeze) to negative stimuli (Barry, Vervliet, & Hermans, 2015). Cortical regions such as superior temporal and inferior frontal cortices, which regulate amygdalar automatic defense responses, serve a critical role for promoting social engagement, enhancing safety detection and facilitating effective emotion regulation (Phillips, Ladoucer, & Drevets, 2008; Porges, 2007). It is conceivable therefore, that connections between inferior frontal and temporal cortex to amygdala may be particularly important for high anxious (relative to low anxious) mothers to regulate their anxiety in the service of maintaining positive maternal caregiving behaviors. In the present study, we focused on a large community sample of young, low income mothers at 3–4 months postpartum, a time period when mother-infant dyads show a rapid increase in social interactions (Kim, Mayes, Feldman, Leckman, & Swain, 2013; Papoušek & Papoušek, 2002). We extended our previous work that focused on own- versus other-infant cry-related brain regional activity (Hipwell et al., 2015) by examining the interregional FC and putative moderating effects of anxiety symptoms (spanning subclinical to clinical levels) on the caregiving brain–behavior relationships. Specifically, we examined whether the association between neural activity and FC elicited from own- versus other-infant cry sounds and observations of caregiving behaviors varied as a function of maternal anxiety severity. A particular circuit of interest was amygdala FC with superior temporal sulcus and inferior frontal cortex because these are neural regions involved in social and emotional processing as well as regulation of anxiety. Finally, we sought to examine whether these moderating effects are specific to anxiety symptoms by also controlling for depression symptoms. Young adult female participants were recruited from the Pittsburgh Girls Study (PGS), a longitudinal study focusing on the development of psychopathology that began in childhood (Hipwell et al., 2002). Potential participants were identified in the course of annual PGS interviews if they were aged 18 and older and were expecting or had recently delivered a healthy, first-born, singleton child. At the time of analysis, 156 young mothers with an infant younger than 6 months old had been identified. Thirty-nine of these mothers were excluded from the fMRI portion of the study for the following reasons: pregnant at the time of the scan (n = 5), met diagnostic criteria for bipolar illness (n = 5) or cannabis abuse (n = 8), had medical or neurological illness that may affect cerebral physiology or anatomy (n = 6), used psychotropic medication daily (n = 3), had metal present in their body (n = 4), were claustrophobic and unable to enter the scanner (n = 1), had an IQ < 65 (n = 2) or lived out of state (n = 5). Of the remaining 117 scan-eligible mothers, eight refused participation (7%) and 13 (11%) were lost to follow-up, resulting in a sample n = 96 (82%). All participants provided written informed consent, which was approved by the University of Pittsburgh Human Research Protection Office. At 3 months postpartum (M = 12.7 weeks, SD = 3.9), mothers were visited at home to collect an audio-recording of their infant’s cry when the infant was not hungry or in pain. Standardized audio clips were created from the infant cry samples through Adobe Audition, Syntrillium Software, Phoenix, AZ. A standard “other” infant cry was created from a cry sample of an unfamiliar infant while an experienced pediatrician assessed infant reflexes during staff training. At around 4 months postpartum (M = 17.1 weeks, SD = 4.6), the mothers were invited to the research lab to undergo an fMRI infant cry task, participate in a filmed face-to-face interaction with her infant, and complete interviews. Mothers were positioned in a supine orientation in the MRI scanner and their heads were fixed following a standard approach—that is, placing cushions underneath and around the head on each side. Participants were instructed to remain as still as possible throughout the scanning period. As in our prior work (Hipwell et al., 2015), mothers listened to four 36-s sound blocks, each containing an own-infant cry epoch, a standard other-infant cry epoch, and a garbled sound comprising randomly ordered 0.4-s clips of own and other crying (Sander, Frome, & Scheich, 2007). The 36-s sound blocks consisted of three differently ordered 11-s epochs separated by 1-s breaks, to minimize possible habituation effects associated with repeated presentation. Immediately after each block of cry stimuli, mothers were asked to rate their distress and urge to help on three-point scales following two prompts: “this sound makes me feel” (2 = calm, 3 = alert, 4 = stressed), and “my urge to help the baby is” (2 = low, 3 = medium, 4 = high). The three stimulus types were presented in a pseudorandom order across the 12 blocks for each participant. Four 24-s rest blocks (with a fixation but no sound stimuli) were positioned at the early, middle and end of the task. The task was implemented in E-Prime software on a synchronized PC. Participants were familiarized with the task outside the scanner before the scanning session via listening to nature sounds from the acoustic library of the International Affective Picture System (http://csea.phhp.ufl.edu/media/iadsmessage.html). Therefore, mothers were not exposed to any type of cry stimuli in advance of the scan to prevent possible decrease of the salience of these stimuli. During the filmed portion of the study, mothers were first asked to talk to their infant for 2 min and then were asked to “help your child get interested in this toy” for a further 3 min. Both types of free play have been shown to elicit a broad range of positive and negative caregiving behaviors in prior research (Beebe et al., 2010; Moore et al., 2009; Murray, Fiori-Cowley, Hooper, & Cooper, 1996). Caregiving behaviors during each of these two episodes were coded using time-sampled global ratings by two independent observers who were unaware of all other information about the mother–infant dyads. The coders were both trained to a high level of interrater reliability (i.e., defined as an ICC greater than .70 on 33% randomly selected digital videos) by an expert with over 25 years of experience before coding the present sample. Five dimensions of maternal behavior including warmth, involvement, hostility, intrusiveness, and sensitivity were coded using ratings on adapted scales with good construct validity (Shaw et al., 1998). Specifically, maternal warmth examined the amount of positive affect, such as smiling or laughter, mothers expressed toward the infant; involvement measured the degree to which mothers attended to, and engaged with, the infant; hostility assessed negative expressions, including impatience, annoyance, critical comments, angry teasing, and sharp tone of mothers’ voice; intrusiveness measured behaviors such as rough pulling and poking at the infant, lunging face or hands close to the infant’s face, and loud or high-pitched vocalizing; sensitivity reflected the extent to which mothers responded promptly and appropriately to the infant’s bids and emotional state. Ratings ranged from 1 (none/low/minimal) to 4 (a lot/highly) on each dimension. High interrater coding reliability was achieved (ICCs were .94 for hostility; .92 for intrusiveness; .84 for warmth; .72 for involvement; and .83 for sensitivity). This coding scheme has also demonstrated good psychometric properties in prior work with a large sample with similar demographic characteristics (Hipwell et al., 2016). We used a principal components analysis (PCA) with varimax rotation (implemented in SPSS) to reduce the number of outcome variables and capture the dominant features. The PCA produced two components explaining 68.2% of the variance. The first component comprised warmth and involvement, with factor scores of .80 and .84, respectively, which we referred to as “positive involvement” (PosM). The second component comprised high hostility, high intrusiveness, and low sensitivity, with factor scores of .67, .91, and –.63, respectively, which we labeled as “negative insensitivity” (NegM). During the interviews, we assessed severity of present anxiety using maternal reports on the State–Trait Anxiety Inventory (STAI; Spielberger, Gorsuch, Lushene, Vagg, & Jacobs, 1983). The 20 “state” items of the STAI (e.g., I am tense, I am worried, I feel calm [reverse scored]) are rated on four-point Likert scales (1 = almost never to 4 = almost always) such that the severity score can range from 20–80. In the STAI state subscale, a cut point of 39 indicates clinically significant symptoms (Addolorato et al., 1999; Knight, Waal-Manning, & Spears, 1983). The STAI state subscale has good internal reliability and validity (Metzger, 1976; Okun, Stein, Bauman, & Silver, 1996; Spielberger et al., 1983), and have been shown to have good criterion, discriminant and predictive validity for perinatal populations (Meades & Ayers, 2011). Depression severity was assessed using the 17-item Hamilton Depression Rating Scale (HAMD; Hamilton, 1960), which includes items such as “Depressed mood,” “Feelings of guilt,” and “Insomnia.” Items are scored on three- or five-point scales (e.g., 0 = no difficulty falling asleep to 2 = complains of nightly difficulty falling asleep) and summed to generate a continuous measure of depression severity. Total scores can be interpreted as: no depression (0–7), mild depression (8–16), moderate (17–23), or severe depression (≥24) (Zimmerman, Martinez, Young, Chelminski, & Dalrymple, 2013). The HAMD has good psychometric properties (Reynolds & Kobak, 1995). In addition, we collected information on maternal age, race, and past year receipt of public assistance (e.g., food stamps and welfare) as an index of household poverty. Neuroimaging data were collected on a 3-T Siemens Trio MRI scanner. T2-weighted and fluid-attenuated inversion recovery (FLAIR) MRI scans were first acquired to rule out neuromorphological abnormalities. A reference echo-planar imaging (EPI) was acquired to identify artifacts (e.g., ghosting) and check for signal quality. Blood-oxygen-level dependent (BOLD) functional images were acquired with a gradient-echo EPI sequence, with 35 coronal slices (3 mm thick, 0-mm gap) that cover the entire cerebrum and most of the cerebellum (TR = 2 s, TE = 25 ms, FOV = 24 cm, matrix = 64 × 64). A high-resolution anatomical scan with voxels of 1-mm isotropic resolution MPRAGE sequence (160 slices, 256 × 256 acquisition matrix, TR = 2.3 s, TI = 900 ms, NEX = 1, flip angle = 9 deg) was obtained for registration of functional images to a standardized space. The fMRI data were pre-processed and analyzed using statistical parametric mapping software (SPM8, Welcome Department of Imaging Neuroscience, University College London, www.fil.ion.ucl.ac.uk/spm). For each participant, data were realigned to the first volume and unwarped to correct for head motion and static inhomogeneity of the magnetic field. These images were then co-registered with the participant’s anatomical image. The anatomical image was segmented into separate tissue types including gray matter, white matter, and cerebro-spinal fluid on the basis of modified versions of the ICBM Tissue Probabilistic Atlases, and normalized to the Montreal Neurological Institute (MNI) template through a nonlinear transformation. The functional images were then normalized to the MNI space via the parameters from the structural image segmentation, resampled to 2 × 2 × 2 mm3 voxels, despiked (implemented via AFNI; http://afni.nimh.nih.gov/), and spatially smoothed with a 6-mm full-width at half-maximum (FWHM). Twenty-one of 96 participants who underwent scan procedures were excluded from the subsequent data analysis due to head movement greater than 4mm or severe artifacts in MRI data (n = 20), or due to a missing postpartum STAI report (n = 1), resulting in a sample of 75 participants. This exclusion rate is in line with other neuroimaging data sets (Greenberg et al., 2015; McGrath et al., 2013). Furthermore, attrition analysis showed that individuals who were excluded were no different from the retained participants in terms of either anxiety [t(93) = 0.4, p = .69], or depression severity [t(93) = 0.4, p = .69]. Functional connectivity was estimated through whole-brain psychophysiological interactions (PPI) analysis (Friston et al., 1997) using the automated generalized PPI toolbox (McLaren, Ries, Xu, & Johnson, 2012). The right amygdala seed region was defined on the basis of the anatomical mask from the AAL template, a widely used manual macroanatomical parcellation of the single-participant MNI-space template brain. We extracted the mean of the individual voxel time series within the seed region and removed the effects of head movements. The adjusted time series was deconvolved from the canonical hemodynamic response function (HRF) to generate an estimated neuronal time series (Gitelman, Penny, Ashburner, & Friston, 2003). The estimated neural activity was multiplied by the onset times for all conditions (i.e., own, other, and garbled infant crying) separately. These interaction terms were then reconvolved with the HRF and entered into a new generalized linear model (GLM) along with the vectors for the onsets for each condition (i.e., the psychological vectors), the original mean time series, a baseline constant regressor, and covariates of no interest (i.e., six movement parameters). This generalized form of PPI analysis, as compared to standard PPI analysis, allows for the simultaneous modeling of context-dependent connectivity for all conditions and shows increased sensitivity and specificity (McLaren et al., 2012). We examined whether severity of anxiety symptoms (i.e., a continuous variable spanning subclinical to clinical levels) moderated the associations between maternal behaviors and regional brain activity through a whole-brain second-level GLM, in which the dependent variable was own- versus other-infant cry-related whole-brain activity. Similarly, moderation effects of anxiety on the associations between maternal behaviors and right amygdala-related FC were estimated through a second whole brain second-level GLM, in which the dependent variable was own- versus other-infant cry-related amygdala/whole-brain FC. Specifically, these two GLMs each contained five regressors: PosM, NegM, anxiety (STAI severity score), PosM × Anxiety, and NegM × Anxiety. Interaction terms estimated the moderation effects. PosM, NegM, and anxiety were each mean-centered before being entered into these 2nd level GLMs (Cohen, Cohen, West, & Aiken, 2003). Such an approach, as compared to dichotomizing continuous variables, can prevent information loss and increase the statistical power to detect a relation between variables (Altman & Royston, 2006). For significant moderation effects, we followed a standard statistical post-hoc probing and visualization approach (Cohen et al., 2003; Hayes & Matthes, 2009) to clarify the nature of the effect (e.g., enhancing, buffering or antagonistic). Thus, we calculated the associated slopes at two representative points of the moderator—that is, mean + SD (labeled “higher anxiety”) and mean – SD (labeled “lower anxiety”) to examine whether they differed significantly from zero. In a further step, we examined whether the moderating effects of anxiety remained even when the main and interaction effects of depression severity were also included in the model. In this step, we also controlled for potentially confounding demographic variables including age, maternal race, and poverty. Thus, these effects were examined through whole-brain second-level GLMs with 11 regressors in each one—that is, PosM, NegM, anxiety, PosM × Anxiety, NegM × Anxiety, depression, PosM × Depression, NegM × Depression, age, maternal race, and poverty—for own- versus other-infant cry-related neural activity and amygdala FC. Because of the relatively large sample size, we report significant results at a stringent threshold of whole-brain voxel-level p < .001 and cluster-level family-wise error (FWE) corrected p < .05. In addition, for exploratory purposes, and to compare our results with those of previous studies, we tabulated results that reached significance at a more liberal threshold (Table 1: whole-brain voxel-level p < .001, cluster size > 30). Regions at the threshold of voxel-level p < .001, voxel size k > 30 are listed. Regions also significant at a cluster FWE-corrected p < .05 are shown in bold and marked with an asterisk (*). The sample of 75 postpartum mothers ranged in age from 18–22 years (mean = 19.8, SD = 1.0) and included 83% African American women, with 81% living in poverty. The mean state anxiety score was 29.2 (SD = 6.6, range: 20–49), with five participants (7%) exceeding the clinical cutoff score of 39 (Addolorato et al., 1999; Knight et al., 1983). This distribution of scores was comparable to other samples of postpartum women (Malak, Crowley, Mayes, & Rutherford, 2015; see Table S1). The mean 17-item HAMD score was 4.7 (SD = 3.9, range: 0–18), which was also comparable to results from other samples of postpartum women (Ross, Evans, Sellers, & Romach, 2003). Anxiety and depression severity scores were modestly correlated (r = .27, p = .02). Participant behavioral ratings of response to the infant cry stimuli during the scan supported the validity of the paradigm. The mean feelings toward own- and other-baby crying were 3.0 (SD = 0.6) and 3.3 (SD = 0.5), respectively, both lying within the “alert” to “distressed” range. The mean urges to help the mother’s own and the other baby were 3.4 (SD = 0.6) and 3.6 (SD = 0.4), respectively, within the “medium” to “high” range. We found no moderation effect of anxiety on the relationship between own- versus other-infant cry-related brain activity and either positive or negative maternal behaviors. In contrast, there was a significant (positive) moderating effect of anxiety on the relationship between positive maternal behavior and own- versus other-infant cry-related FC between amygdala and both right posterior superior temporal sulcus (amygdala–RpSTS [58, –44, 6], z = 4.96, k = 254; Fig. 1A) and right superior temporal gyrus (amygdala–RSTG [62, –16, 2], z = 4.68, k = 144). These results showed that stronger associations between positive maternal behaviors and amygdala-related FC (i.e., with RpSTS and RSTG) were observed for mothers with higher levels of anxiety symptoms. Post-hoc probing with two representative points revealed that for mothers with higher anxiety (i.e., anxiety scores = mean + SD) positive maternal behavior was positively associated with own- versus other-infant cry-related amygdala–RpSTS FC [slope = 0.31, t(71) = 4.16, p < .001; Fig. 1B]. In contrast, mothers with lower levels of anxiety (i.e., anxiety scores = mean – SD) showed a negative association between positive maternal behavior and own- versus other-infant cry-related amygdala–RpSTS FC [slope = –0.17, t(71) = –2.89, p < .01]. Specifically, with each unit increase of amygdala–RpSTS FC, mothers with higher levels of anxiety showed a 31% increase in positive maternal behavior. In contrast, for mothers with lower subclinical anxiety, each unit increase in amygdala–RpSTS FC was associated with a 17% decrease in positive maternal behavior. No significant amygdala-related FC was more closely associated with positive maternal behavior for mothers with lower, relative to higher, levels of anxiety. In addition, subclinical anxiety had no significant moderation effect on the relationship between negative maternal behavior and own- versus other-infant cry-related amygdala FC. Given that there was no significant moderation effect of subclinical anxiety on overall brain activity, we did not test the full model for brain activity while controlling for depression symptoms and contextual variables. Building on the findings from the moderation model for FC, the full model for FC showed that the moderation effects of subclinical anxiety on the relationship between positive maternal behavior and own- versus other-infant cry-related amygdala–RpSTS remained significant ([58, –44, 6], z = 4.27, voxel size k = 122) after we controlled for age, race, poverty, depression symptoms, and the interaction between depression and maternal behaviors. The moderation effect for amygdala–RSTG was no longer significant after controlling for these variables. There were no significant associations between any of these additional covariates and own- versus other-infant cry-related amygdala FC. Averaged across all mothers, stronger own- than other-infant cry-related activity was apparent in the right frontal insula cortex, which we had previously reported in this sample (Hipwell et al., 2015). In the present study, we found stronger own- than other-infant cry-related FC between right amygdala and right posterior cingulate cortex (amygdala–RPCC, MNI: [10, –30, 26], z = 4.52, k = 210) and right temporoparietal junction (amygdala–RTPJ, MNI: [46, –52, 32], z = 4.25, k = 287) for the sample as a whole. We found no significant association between brain regional activity and positive maternal behavior, negative maternal behavior, or anxiety severity. Similarly, there was no significant association between amygdala-related FC and either positive maternal behavior or anxiety. In contrast, negative maternal behavior was associated with stronger own- than other-infant cry-related FC between amygdala and bilateral right lingual gyrus (amygdala–lingual, MNI: [16, –66, 0], z = 4.30, k = 511). The present study examined the impact of postpartum anxiety symptoms on the neural correlates of maternal caregiving in the early postpartum months. Our study provided, to the best of our knowledge, the first neurobiological evidence for moderation effects of subclinical postpartum anxiety symptoms on brain–behavior relationships in a large sample of low-income, minority race young mothers. Specifically, our results showed that, the higher a mother’s anxiety severity, the stronger association between positive maternal caregiving behaviors and own- versus other-infant cry-related amygdala–RpSTS functional connectivity. As we further demonstrated by the post-hoc probing with two representative points (i.e., mean ± SD), among mothers with higher anxiety, those with stronger amygdala–RpSTS connectivity were observed to have higher levels of warm and involved caregiving. A similar pattern was not observed for mothers with lower anxiety. These findings suggest that the neural circuit of amygdala–STS is particularly important for high-anxious (relative to low-anxious) mothers in providing positive maternal caregiving. The STS has a unique role in modulating automatic fear responses in the limbic defense system during social engagement (Porges, 2003). Particularly, projections from the STS to amygdala, one important node in this system, play a critical role in inhibiting automatic defense responses (e.g., fight or flight) and enhancing safety detection, both of which are necessary for social behaviors to occur (Porges, 2007). Moreover, RpSTS is a part of the mirror neuron system devoted to social perception that can facilitate maternal warmth and involvement, such as imitation, spontaneous mentalizing, and theory of mind (Frith & Frith, 2003; Gallagher & Frith, 2003; Spiers & Maguire, 2006). Furthermore, this neurobiological model suggests that the amygdala–STS may be an evolutionarily preserved circuit to coordinate between automatic fear responses and social interactions. Anxiety may be associated with exaggerated defensive responses to environmental negative stimuli, which therefore may be detrimental for engaged social behavior. Thus, the involvement of the amygdala–STS neural circuit may be particularly important for high anxious (relative to low-anxious) individuals in social engagement. The present study’s findings are consistent with this proposed functional role of amygdala–RpSTS FC, in that the provision of warm involved caregiving in high anxious mothers may rely upon increased STS regulation of heightened initial automatic fear responses in the amygdala. This interpretation also aligns with the observed weak negative association between amygdala–RpSTS FC and positive caregiving in low-anxious mothers. We speculate that low-anxious mothers may have low initial amygdala defense reactivity in response to own- versus other-infant crying, and therefore the inhibitory effects via STS–amygdala FC would be less important for, and could even have a negative impact on warm and involved maternal caregiving due to a blunting of socioemotional salience. In addition, these findings are consistent with existing theories about the amygdala’s utility in encoding stimuli salience and guiding subsequent behaviors (Cunningham & Brosch, 2012), and further suggest that maternal affective state (e.g., anxiety) is an important contextual factor that impacts the neural circuits involved in maternal caregiving behaviors. Furthermore, the importance of the amygdala–STS neural circuit that we observed here may reflect a person’s engagement in social interactions generally (Porges, 2007), and therefore, may generalize to the caregiving provided by fathers (Abraham et al., 2014) or young nulliparous women. Further studies are needed to test such a hypothesis. Other explanatory mechanisms might account for the anxiety moderation effects observed here. For example, stronger amygdala–RpSTS FC may reflect heightened prosocial attention or mentalizing, which facilitates maternal warmth and engagement (Elmadih et al., 2016; Ho, Konrath, Brown, & Swain, 2014). However, whereas these interpretations are consistent with the observed pattern in mothers reporting higher levels of anxiety, they cannot explain the observed weak negative association in low-anxious mothers. The present study extended prior research to increase understanding of brain–behavior associations in an urban sample of young, low-income, African-Americans mothers, often described as being at risk for mood disorders and parenting stress (Morris-Rush, Freda, & Bernstein, 2003; Rich-Edwards et al., 2006). In contrast, in some contexts, early childbearing is culturally normative (Geronimus, Bound, & Waidmann, 1999), which may help to buffer women and children from adverse outcomes (Geronimus, 2003). In fact, our sample reported rates of anxiety that are comparable to less disadvantaged samples of middle-class, Caucasian mothers (Malak et al., 2015). On the neural level, previous studies of middle-class Caucasian samples identified regions including amygdala, insula, cingulate, STS, and prefrontal cortex, as well as interregional FC between such areas as amygdala and STS, in parental responses and associations with parenting constructs (Atzil et al., 2011; P. Kim et al., 2011; P. Kim et al., 2016; S. Kim, Fonagy, Allen, & Strathearn, 2014; Laurent & Ablow, 2012b). Our sample showed similar increased maternal responses as these studies, suggesting that these regions and neural circuitry may comprise a unified neural mechanism in supporting early maternal caregiving, irrespective of race, socioeconomic status, age, or gender. The results revealed in our exploratory analysis may provide further insights into the neural basis of early maternal caregiving. At a liberal threshold of whole-brain voxel-level p < .001, cluster size k > 30 (Table 1), anxiety moderated the link between warm and involved caregiving and the FC between amygdala and nodes in widespread networks, including sensorimotor (e.g., right precentral gyrus and paracentral lobe), social/attention (e.g., left TPJ and supramarginal gyrus), cognitive (e.g., right superior frontal gyrus), and reward (e.g., putamen) neural networks. It is thus possible that the functional synchronization of widespread amygdala–cortical neural circuitries could serve as a compensatory mechanism for provision of warm and involved caregiving in anxious mothers. However, given that these results did not survive the FWE correction, future examination and replication is required in a larger sample, or a sample with a greater range of anxiety symptoms. Interestingly, the relationship between maternal caregiving and the FC between amygdala and emotion regulation networks (e.g., inferior frontal cortex) was not moderated by anxiety. It is possible that these neural circuits are equally recruited by mothers with high and low anxiety during maternal caregiving. Such a hypothesis warrants further examination. The present study provided initial fMRI evidence for the specific effects of subclinical anxiety symptoms, rather than depression symptoms, on the neural correlates of maternal caregiving. Due to the comorbidity between depression and anxiety, maternal anxiety has rarely been assessed independently from postpartum depression (Laurent & Ablow, 2012a, 2013; Wonch et al., 2016). Depressed mothers (as compared to nondepressed mothers) show reduced neural activations in emotion-processing regions (e.g., dorsal anterior cingulate cortex) to their own infant’s crying (Laurent & Ablow, 2012a) and distress faces (Laurent & Ablow, 2013). In response to own- versus other-infant smiling faces, depressed (as compared to nondepressed) mothers showed increased activity in the right amygdala and decreased bilateral amygdala–right insula connectivity. Moreover, decreasing amygdala–insula connectivity was associated with increasing symptoms of depression and anxiety (Wonch et al., 2016). Collectively, these studies suggest that postpartum depression is associated with disrupted (blunted, more specifically) involvement of dorsal cingulate cortex, amygdala and its related FC with insula. This set of neural nodes/circuitry of postpartum depression differs from our present findings for subclinical anxiety—that is, amygdala–STS—suggesting specificity of this neural circuit for postpartum subclinical anxiety. Detecting stronger amygdala–PCC/precuneus FC during own- versus other-infant crying in the present study is consistent with findings from a previous study in postpartum women (Chase et al., 2014) and supports the notion that functional synchronization of key nodes in the salience (e.g., amygdala) and default-mode networks (e.g., precuneus) is important in maternal caregiving. This finding also underscores the importance of the FC between amygdala and the default mode network in social affiliation (Bickart, Hollenbeck, Barrett, & Dickerson, 2012), and provides direct empirical evidence for the involvement of this neural circuitry in maternal responses. Notably, the relationship between maternal caregiving and amygdala–precuneus neural circuit was not moderated by subclinical anxiety, suggesting that the functional involvement of this neural circuit in response to infant cry is independent of subclinical anxiety. Taken together, our results revealed stronger evidence for a moderating influence of anxiety on caregiving-brain FC relationships than for caregiving-brain activity relationships. This suggests that maternal behaviors are more likely to result from the integration of multiple neural processes, rather than neural activity in isolated brain regions, as examined in prior work (e.g., P. Kim et al., 2016; Moghaddam & Wood, 2014; Riem et al., 2012). We examined amygdala FC using PPI, a seed-based whole-brain analysis approach, which is well-suited for examining seed-region related neural circuits engaged by block-design functional tasks. This is an important extension on previous research with crucial contributions made by large-scale brain network models applied to resting state data (Chase et al., 2014; Qin et al., 2014) and task-based network integrity (Abraham, Hendler, Zagoory-Sharon, & Feldman, 2016). As has been proposed in previous studies (e.g., Barrett & Fleming, 2011), various proximal and distal factors (e.g., stress and genetic background) can influence the development or functioning of maternal brain systems and the expression and quality of maternal behavior. Our findings suggest that maternal subclinical anxiety symptoms constitute an important proximal factor that influences the functioning of maternal brain systems and its links with positive maternal behavior. Notably, we examined the average neural responses—that is, regional activity and FC, over repeatedly presented blocks (four blocks for each type of infant cry) to maximize the statistical detection power. It is possible however, that these neural responses may have habituated over time and interactions with anxiety, in important ways. Future studies will be needed to investigate this possibility. Despite its relatively high prevalence, postpartum anxiety is in the early stages of neurobiological investigation and has previously been subsumed within the domain of depression research due to frequent anxiety-depression comorbidity. By examining dimensional constructs of subclinical anxiety in this cohort of young mothers, we were able to demonstrate specific moderation effects of anxiety on neural circuitry–maternal behaviors relationships. However, we acknowledge that the generalizability of the present findings may be restricted by particular characteristics of our sample—that is, young, low-SES, urban-living mothers with mostly subclinical anxiety and depression symptoms. It is possible that our results would have been different had we recruited a clinical sample of women diagnosed with anxiety disorder. Such a hypothesis should clearly be tested in future research. On the basis of our findings that suggest an important role of STS–amygdala FC (i.e., a neural circuit involved in safety detection and avoidance inhibition) in promotion of positive maternal caregiving, interventions that enhance maternal feelings of safety while attending to negative infant emotional stimuli may benefit subclinically anxious women. For example, a simple strategy like breathing practice, has been shown to improve social bonding in individuals with high levels of stress and anxiety (Brown & Gerbarg, 2005). Another strategy such as repeated exposure to negative emotional infant sounds may facilitate physiological desensitization (as a component of exposure and response prevention; Abramowitz, 1996) and promote prosocial behaviors via cortical regulation of the social engagement systems (Porges, 2001). Future work will be needed to determine whether interventions such as these are effective in enhancing STS–amygdala FC, and thus improving the maternal caregiving of anxious mothers. This research was supported by a grant from the National Institute of Child Health and Human Development (HD067185) to A.E.H. and E.M.-K. We are grateful to Amanda Allen, Sam McClelland, Natalie Merrick, Laura Rottingen, Cathy Sterling, and Danielle Verble for their work in data collection; to Elena Paul and Joe Beeney for their dedication to observational coding; and to Carlos Zevallos and Ricki Stiffler for assistance with data management. We also thank Henry Chase for valuable feedback on the data analysis. We express gratitude to all the research participants and their families for their time dedicated to this study. The authors declare no competing financial interests.